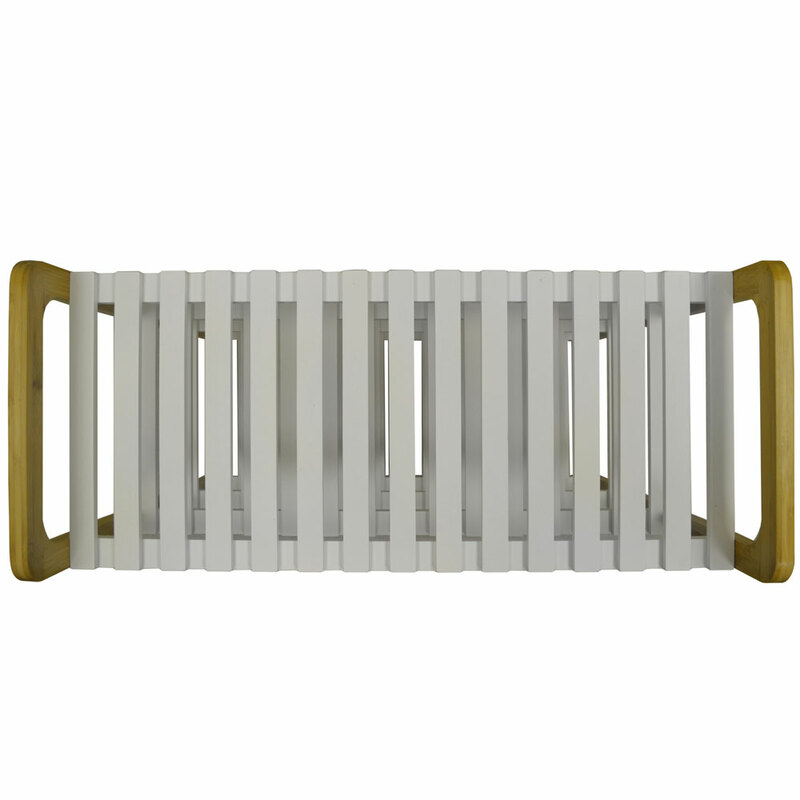 This simple yet stylish storage rack is the perfect addition to any home. 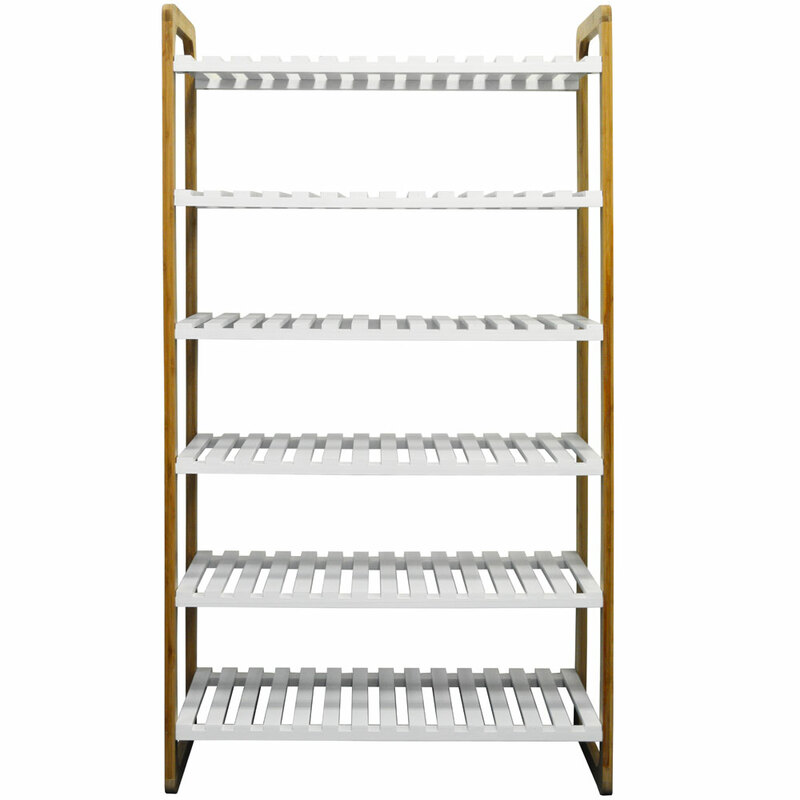 Ideal for storing shoes but could also be used as wardrobe storage, bathroom storage or for childrens books, games and toys. 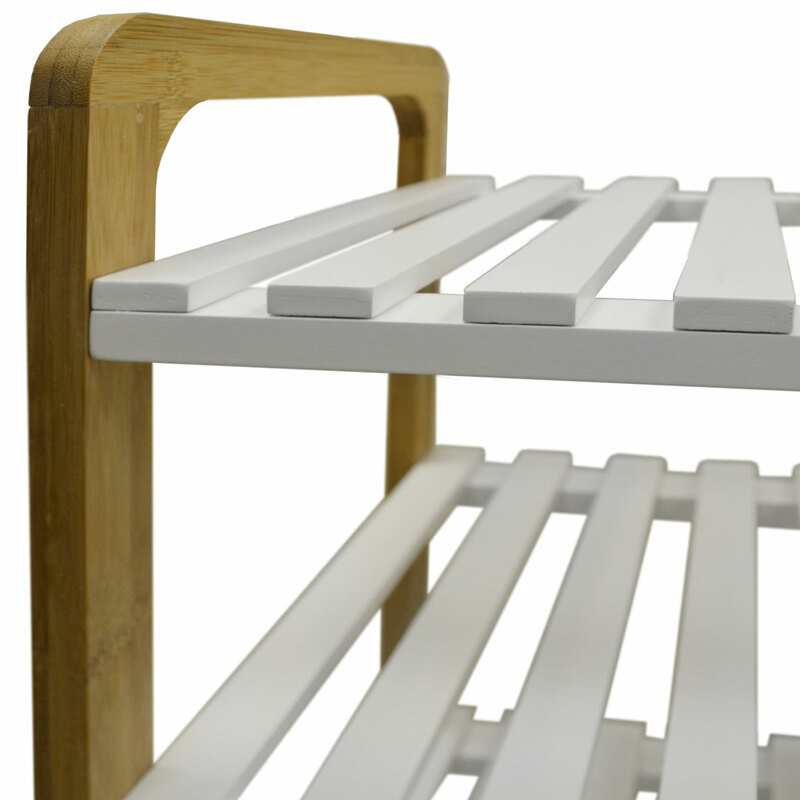 Made from sustainable natural bamboo wood sides and white painted MDF slatted shelves. 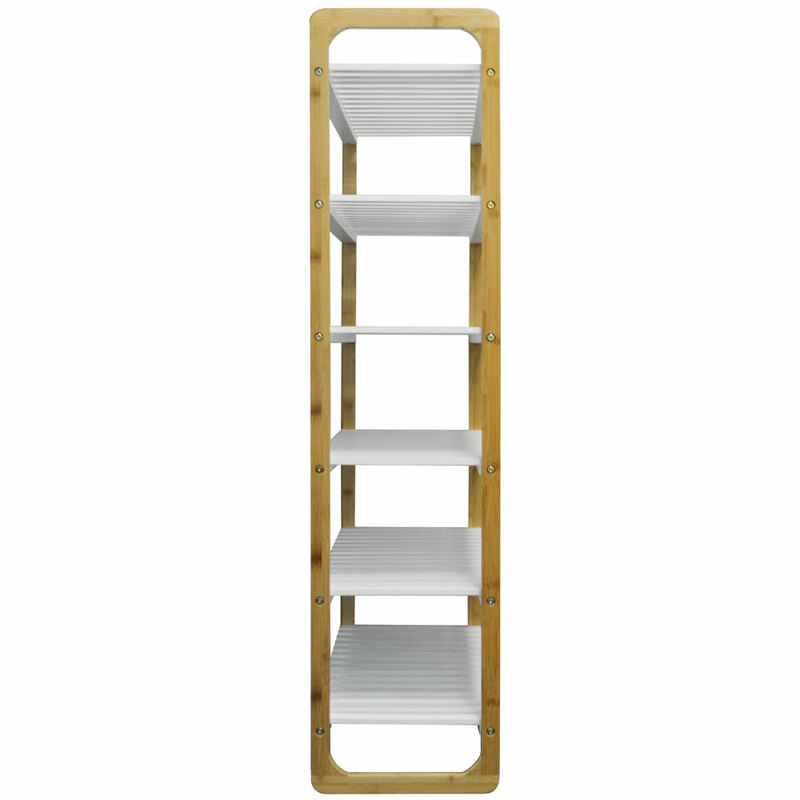 Shelves are 18cm apart, 30cm deep and 66cm wide. Slats in the shelves are 2cm apart. 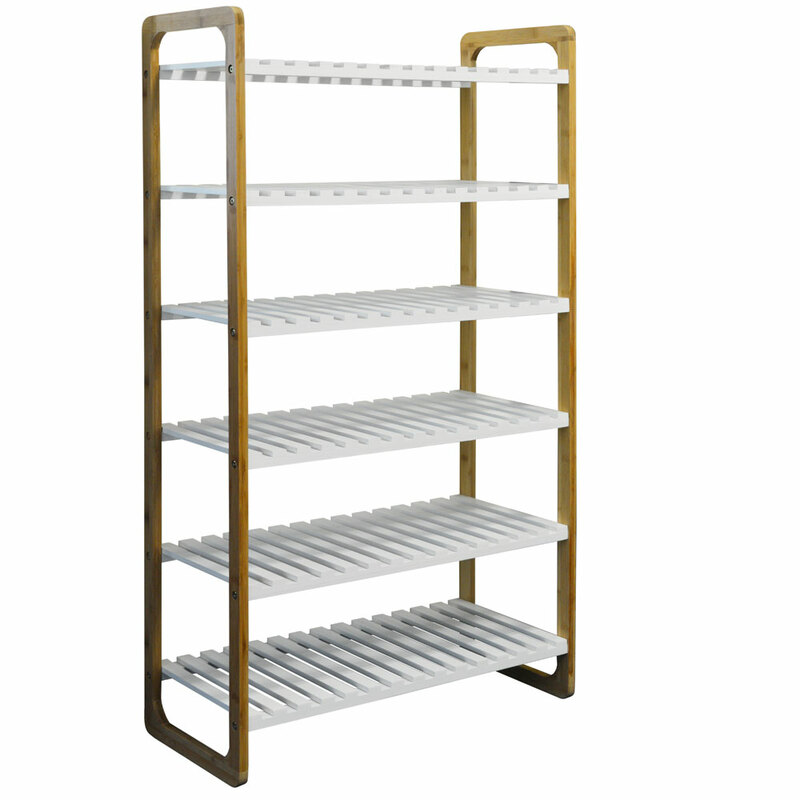 Can hold up to four pairs per shelf - totalling 24 pairs for the whole unit.